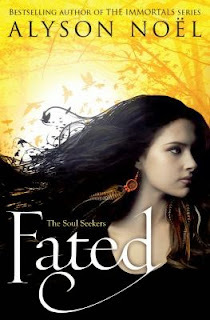 From the author of The Immortals comes a new four book series starting with Fated. The main character Daire experiences strange and alarming events and will soon discover her life is now to be filled with magic, mystery and an undeniable attraction to Dace. Daire goes to live with her grandmother where she will learn more about life and her special gifts and why she is fated to be a Soul Seeker. The four books in the series have been optioned for films, let’s hope it happens soon.